Whether we believe it or not, we periodically come to places in our lives where our brooks dry up. No matter how much we pray, study or what we do we all come to the place where it seems like nothing is happening. The question is, what do I do when my brook dries up? When the things that used to work for us are no longer working, things that we used to depend on are no longer available, or the people that used to be there for us are no longer there. All of our sources of help or assistance are gone. At one time your health was great, and now it has changed. Or you were counting on a stream of finances for a long time, and now they’re running out. 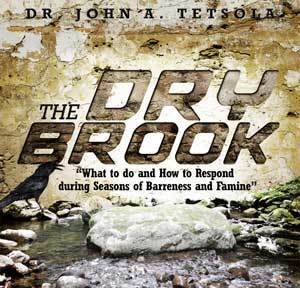 What do you do when your brook dries up?